Welcome to Plumber Ranelagh if you are looking for a local plumber you have come to the right place. Our team are available 24/7, 365 days a year. If you have a plumbing problem, just call us. A member of our team of can be at your door within 60 minutes. We guarantee that. All of our teams qualifications have been subjected to rigorous scrutiny. This is to make sure that they have the relevant, skills and experience to attend to any of our customers. All of our plumbers in Ranelagh are gas safe registered and are fully insured. Our team has built their reputation on customer satisfaction. With over 30 years experience our staff have very strong expertise in domestic plumbing. We are always happy to provide free quotes as we know how competitive our prices are. Our returning customers know that when our team start a plumbing job they are in safe hands. We always ensure that all of our work is finished to the highest standards.This means they can sleep soundly knowing that they will be delighted with our work once completed. All work conducted by our team is 100% guaranteed. Your local team at Plumber Ranelagh offer the following services. · Professional oil boiler servicing. · Power flushing of your central heating system. · Bathroom refurbishments including a professional tiling and floor laying service. · Repair or replacement of burst or leaking pipes. · Central heating system repairs and installation. · Installing and repair of baths, showers, sinks, bidets, wet rooms, taps and toilets. Our Ranelagh plumbers never for call outs and are happy to offer a professional no obligation quote. We are completely transparent and do not have hidden fees or charges.We will not charge traveling time or parking fees. Our upfront pricing policy means there will never be a shock when the bill arrives. Our plumbers make sure their vans are always fully stocked so as there is never a need to be “getting parts”. 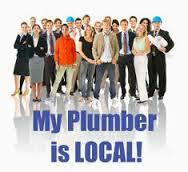 If you need a local plumber in Ranelagh call us today on 01-2844921.